Following the end of WWII, local motor sport enthusiasts were keen to get back to racing. 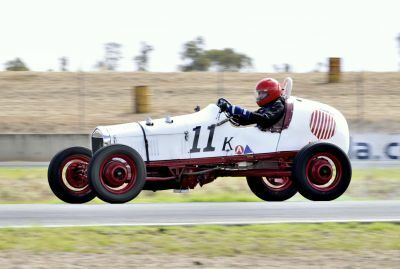 A few fortunate Australians purchased used pre-war GP cars from Europe, but they were up against local enginuity with the backyard designed cars, such as the Tornardo. This car went on to break the Australian Land Speed Record in 1957 at Coonabarabran, and re-set on Lake Eyre in 1961. This period then brings in an overlap to the early 1960s. We see some terrific racing by enthusiastic drivers in these fields. 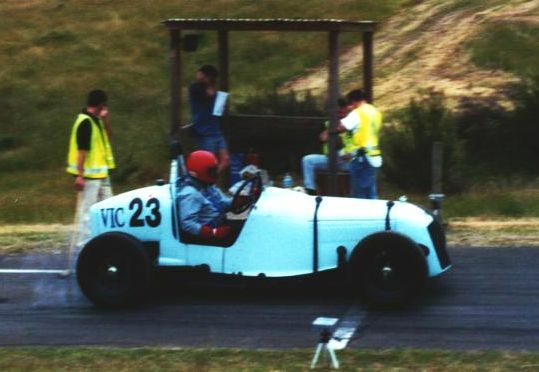 Racing car fields include Formula 1, Formula 2 and Formula Junior cars. Of course all of these fields are continually developed as years’ progress, but for parity and technological reasons the 50s are generally kept apart from the later model s of the 60s. We witness in this era the beginning of the change from front-engine to rear-engine racing cars, most notably acclaimed by the thoughts of Australians, Sir Jack Brabham and Ron Touranac who convinced John Cooper to place the engine in the back for better weight distribution – it worked by giving Sir Jack the first two of three World Formula One Championship wins in 1959 & 1960.